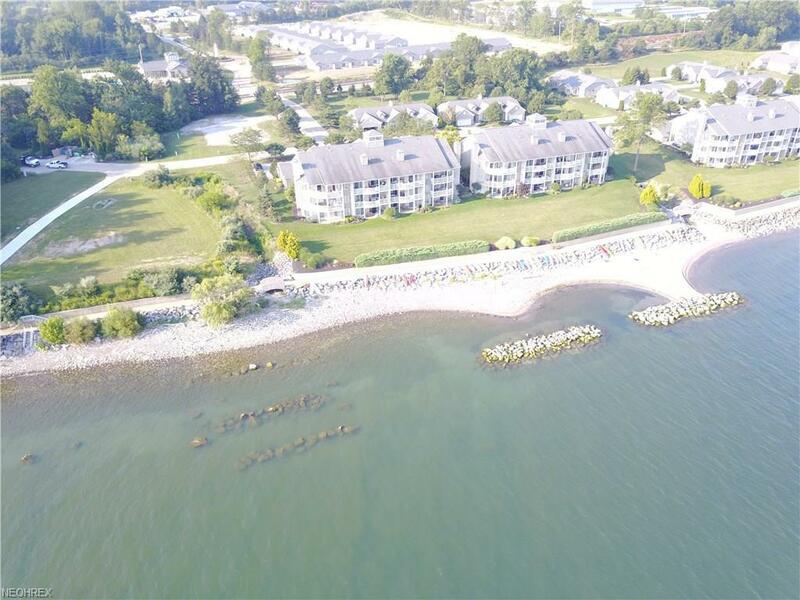 Vermilion Shores is an upscale Waterfront development offering an array of amenities including beach/swimming pool/clubhouse and tennis courts, plus a 2,000 foot walkway running the length of the property along the lake. 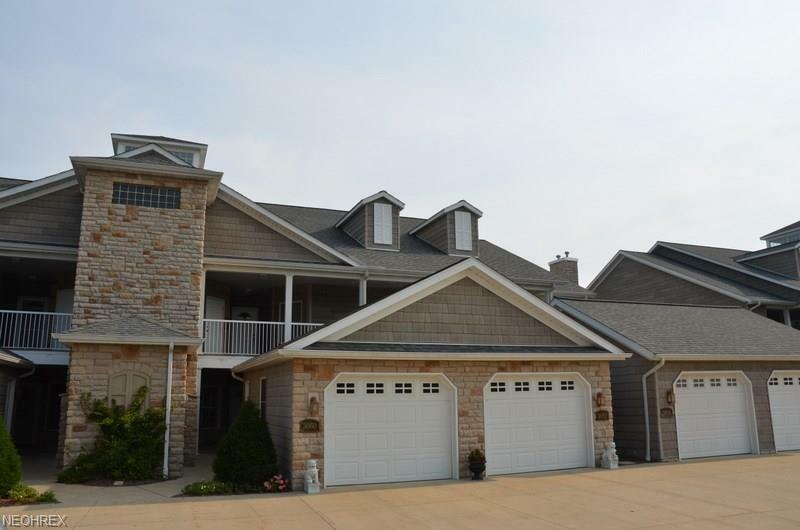 This beautifully maintained 2 Bedroom 2 Full Bath ONE floor unit was built in 2017 and has amazing Lake Erie views from the Living Room, Master Bedroom, and private Deck. The home is tastefully decorated in greys and whites with numerous quality upgrades, including Crown Moulding, Quartz Countertops in kitchen and baths, Custom Wellborn Cabinetry, and a stunning fully tiled Walk in Shower in the Master Bedroom. 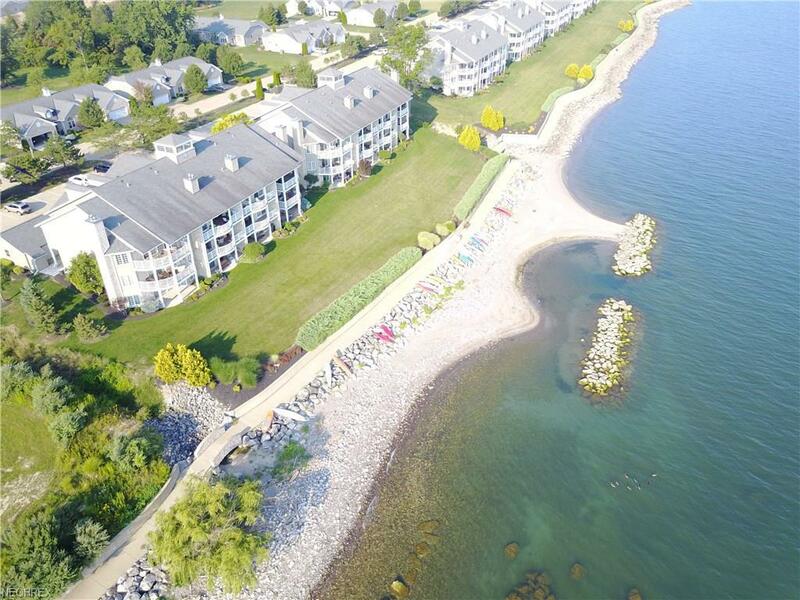 Whether you enjoy water sports, fishing, or simply relaxing to the sound of the waves, you will find it all here at Vermilion Shores and with no landscaping or outside maintenance to do, there is plenty of time to enjoy it all! Single floor units are seldom available, so don't delay arranging your private showing of this lakefront gem and begin experiencing life on the Lake.